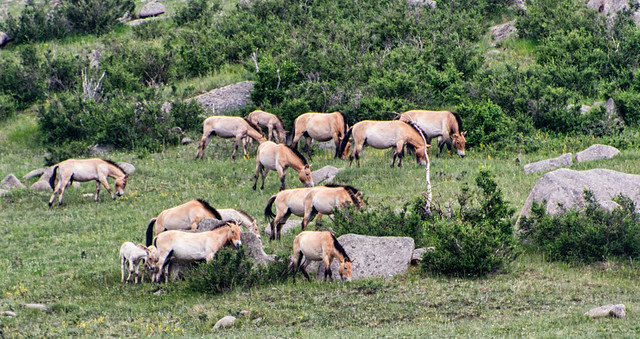 Also known as Przewalski’s horse, these are the original breed that all domesticated horses are thought to descend from. Theye were extinct in the wild in Mongolia in the ’50’s, rescued and reintroduced from captive horses in zoos from around the world. They did really, wild horses being what Khustain National Park is all about, established to protect the takhi (Przewalski’s horse), the only remaining true wild horses left in the world (trivia: all other wild horses are actually feral and come from domesticated horses that have escaped into the wild). Wiped out in the wild in the 1960’s, enough remained in zoos worldwide to re-establish a handful of herds at the end of less-than-conservationally-minded communist government. My guide tells me that the horse is so integral to Mongolian culture that it became a matter of urgency to “restore the lost soul of our nation, without the takhi it was as if a limb had been removed”. Mongolians start getting a far off dreamy look and a deep slowly spreading smile when talking about horses and riding out onto the steppes – it’s infectious. There are now around 250 takhi in a dozen or so herds. They graze the high grasslands in the summer months and move down to water late evening. There was time to kill before hoping to see one of the herds, enough for a hike up one of the surrounding peaks. On the way up marmots poke their heads out of the ground and screech, huge vultures watch from the craggy tops and launch themselves lazy into the valley below, a surprised deer gallops off across the foot slopes to somehow evaporate into a small gully. The view from the top is mesmerising. The landscape is bleak and unforgiving and, at the same time, a soft undulating greenness that stretches to every horizon. Mongolia has the ability to make you feel as if you’ve been shrunk down into a vast landscape under an impossibly huge sky. Down in the valley again, a small herd of the wild horses can be seen up on the opposite treeline. I hike up slowly towards them, not wanting to spook them, but they don’t seem to pay me any attention. 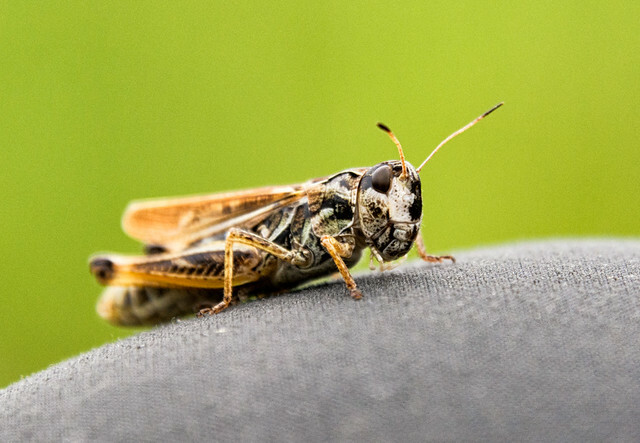 I stop a few hundred metres away and prop myself up against a rock, amongst the deep grass and wildflowers while grasshoppers and butterflies go about their business around me. It’s good to be in nature again after a month of industrial China. Reassuringly, there are several foals in this one herd alone, which numbers around 19 that I can see. Hope for the continued future of these incredible animals in their natural homeland. Winters are brutal here, even spring and autumn are harsh enough and there are wolves to contend with too. They need all the numbers they can muster to continue out here (pardon the pun).